When do we stop enabling a dangerous setting? That is at the foundation of all this. And the cause of it is not Facebook; it is LinkedIn that makes the error. First of all, when we consider the entire mess, LinkedIn did not break any law, they did nothing incorrect on an academic level, yet they were wrong to allowing this to happen. The subject here is Zendesk. First of all, there is nothing wrong with Zendesk; they seem to be on the roll to get a service software solution sold. They have a proper website (www.zendesk.com), they have all the checks and marks in place. From my personal view, I do not believe that they have a proper designed website, but that might just be me. I personally do not believe in a web page that scrolls for almost a mile and has a dozen images replacing each other. It is what I would call a bad mobile site, and as the bulk of the decision makers are on mobile, this was not a good step. It has good parts too; their Career page has an original approach (post stamp view) which is very artsy. Their way to bring it is great, yet the execution is not great, so what gives? It started when I started to get the promoted ads from Zendesk, now there is nothing wrong with that, I have been in customer service for well over a decade on an international level, so that I get this ad makes total sense. 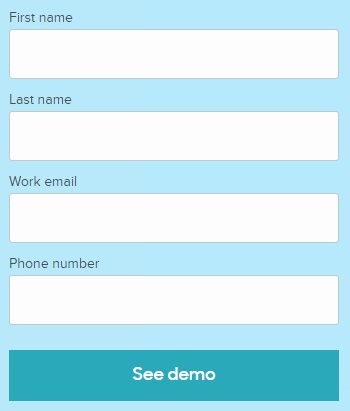 The issue starts that EVERY promoted part, demo, white papers and whatever else they are trying to bring, you cannot get them without filling in a form, and there is the first issue, the ‘Zendesk Capture’; Full Name, Work Email and Phone Number. Now, to be fair, their visibility is clear and as I said, they didn’t break any laws. Yet in this age, after all the hassle of Cambridge Analytica, after all the screw ups that Facebook has been tainted with, LinkedIn should not have allowed for this. I think that Zendesk made a massive mistake taking this marketing path in a day and age where details are captured all over the place. We might wonder if someone hacks that Zendesk computer, how many details would be captured. Yet, when you look at their offering, they have a suite of arrangements, where the cheapest option is an annual plan from ‘Free – $9, per agent, per month‘, so they have the pricing right, they have the options and the seemingly have set it all in perfect motion, so why capture the data? True service minded corporations should be walking down the door. And as I said, this is not about Zendesk, this is about LinkedIn. I consider the allowance of this path a massive mistake. It was only last week when we were alerted to another Facebook mishap with: “Approximately 15 million of the victims had their name and contact details disclosed. While the hackers were able to see personal information, including education and employment background and location check-ins, of a further 14 million.“, this was only last week and we see additional news a mere 8 hours ago, so when it comes to personal data, LinkedIn should not allow for ANY kind of data collection if someone wants to show how good they are and not allow any promoted material to be linked to data capture. Yes, I think it is not wrong that someone would merely hand out their email (not necessarily their work email) to receive the link to a white paper, although we can equally argue that the link could have been in the story they promoted. Optionally that paper could have been uploaded to LinkedIn and distribution went via LinkedIn, as this is a promoted ad, so we can assume that it had to be paid for and LinkedIn had a service minded need to complete the (optional) distribution. None of that was done. All optional solutions to keep their user base data safe and LinkedIn did none of these. Phishing. Do not use an ad to promote a website that tricks a user into providing personal or other information that can be used to exploit or cause harm to the users. Well, clearly Zendesk is not into Phishing, and they never tricked anyone, yet the words “providing personal or other information that can be used to exploit or cause harm to the users“, you see, in the end Zendesk cannot guarantee the part of ‘exploit or cause harm to the users‘. If they get hacked that part becomes an issue and again, Zendesk had never done anything incorrect. In the end, the policies of LinkedIn are flawed as I see them. LinkedIn should never have allowed for these steps to happen, if trust and data is their trademark, then they lost a container load of value just there. The capture of personal data is becoming more and more an issue and as such using advertisement to capture data (I admit that it must be freely given), we see a larger issue. People have shown to be not too bright at times, carelessly handing over their personal and work details. So the actions of LinkedIn in this matter are regarded as highly questionable by me. As for Zendesk? They might have made the wrong call to pursue a certain path, yet it seems that they are driven to visibility and growth, with a directors board that is 50% female (I think that this is a first for me to see one that is actually 50/50) and a global drive that could make them a serious player down the track. They have the suite, they seemingly have all the software elements (optionally missing a dashboard element) and they offer nearly all with free trials, so they have a serious A-game in place. I partially wonder why they even bothered trying to capture details in the first place. Ah, and they also have something called Zendesk Sunshine (at https://www.zendesk.com/blog/relate-announce-sunshine-sell-explore/), so as it seems, they have the makings of a dashboard solution too. So this is about the danger of not learning and LinkedIn is in the stage where they aren’t learning and optionally endangering the data (and profiles) of their customers. You see, in the end they might have a policy in place, yet data can end up going somewhere else and as such, in that shown danger a dozen times over, LinkedIn should never allowed for this step to happen in the first place, it does not matter who wanted to capture the data, or what for, it should not have been allowed for. In this age where data details go somewhere else by the size of millions of users per transgression, not allowing this to happen would have been a first need and that was not done.